The Maine State Police are investigating a suspicious death at a Washburn Road home in Presque Isle and asking the public’s help in finding more information. PRESQUE ISLE, Maine — The Maine State Police are investigating a suspicious death at a Washburn Road home in Presque Isle and asking the public’s help in finding more information. 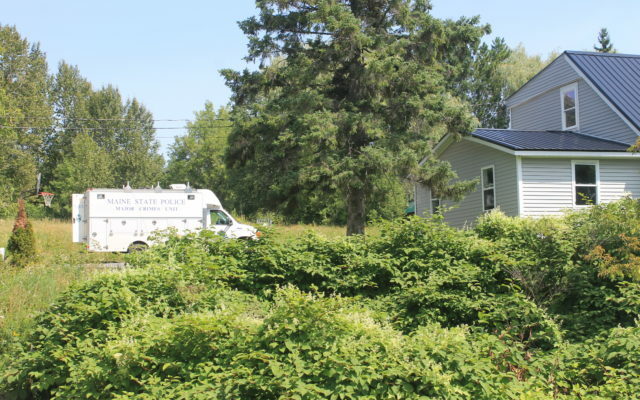 On Sunday, Aug. 19, around 4:15 p.m. the Presque Isle Police Department received a report of a deceased man in the home at 11 Washburn Road in Presque Isle, said Maine State Police Lt. Troy Gardiner. An individual who went to the residence found the man dead and called the police, Gardiner said. The Presque Isle police called in the Maine State Police major crimes unit, which investigates all homicides and suspicious deaths in the state. “We are treating this as a suspicious death” Gardiner said. The deceased man had not been identified as of noon Tuesday. His body was taken to the Maine State Medical Examiner’s Office in Augusta for an autopsy, Gardiner said. “At this point, we have members of our evidence response team at the Washburn Road,” Gardiner said. The 11 Washburn Road property is owned by Lee Theriault, according to Presque Isle’s tax assessment maps. “We are asking for anyone who has information about what may have happened at the 11 Washburn Road address to contact us,” Gardiner said. Anyone with information can call lead investigator Maine State Police Sgt. Darrin Crane at 207-532-5400 or stop by the Presque Isle Police Department, Gardiner said. The suspicious death does not appear to be related to the high-speed chase in Presque Isle Saturday and the subsequent search for the suspect, Gardiner said. This story will be updated on TheCounty.ME as further information becomes available.